At first, like any good millennial with some sense for online BS, I thought this must be some kind of weird spam mail. But after verifying the e-mail address, excitement kicked in! Quickly after I called with Nathalie from the WWF who I am so thankful for. Her excitement about Pretty ECO was amazing. She also thought it would be a badass idea to use Elephant Poo Paper to make the cover of the magazine for the first copies. These would be handed to the ambassadors; astronaut Andre Kuipers and model Kim Feenstra. They also wanted to use the paper to make huge posters of the cover out of. I guess you understand I didn’t have to think twice about making it happen! After weeks of keeping my mouth shut (which was difficult yes! 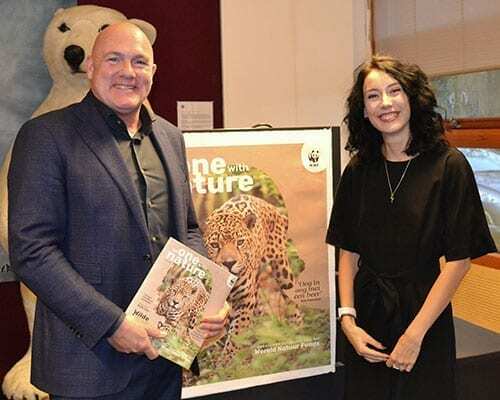 ), yesterday the new magazine was launched at the WWF HQ in the Netherlands. We were invited to attend and see our posters and special edition covers in person. We also got to meet the ambassadors and wonderful team of the WWF. The beautiful and fun Jet Sol presented the new magazine, there was cake with the cover on them and champagne. Safe to say we had a blast. Apart from the fact that we got a good party out of this, we are so happy and proud the WWF decided to work with us. Though the WWF works on a ginormous scale compared to Pretty ECO, we think they are so closely connected to what we are trying to do too. Their new Magazine called “Be one with Nature” is so beautiful. We hope it will inspire many to embrace nature on a deeper level. 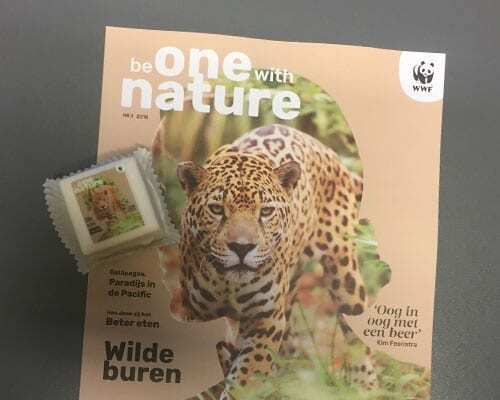 You will receive the magazine if you’re a member of the WWF in the Netherlands. You can get a copy at the WAAR shops or donate to the WWF and get the magazine for free right here. Find Pretty ECO on page 39! 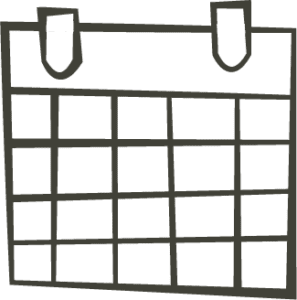 We want to celebrate the launch of the new magazine and the fact that we are in it with you! So we’re giving you 15% discount on our animal print cover notebooks. Buy the Zebra and/or Leopard Elephant Poo paper notebook with code “WWF” for 15% discount. We will give 10% of the profits back to the elephants that helped create the notebooks. 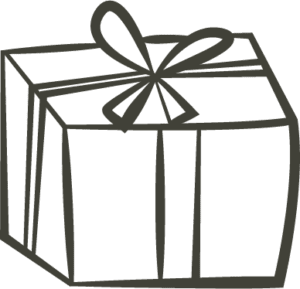 We think it’s the perfect gift for the holidays coming up, to inspire your loved ones with empathy. Couldn’t be more proud of you, this is really awesome! Keep up the good work! That means a lot Bjørn! Thank yóu for all your support :)! Wat vet zeg!! Gefeliciteerd. Hele mooie start. Dankjewel!! Beter kan bijna niet toch?